Click Here for Virtual Tours! Austin’s North Loop and Skyview neighborhoods have an eclectic mix of edgy entertainment venues, vintage shops and quaint eateries. Located moments away from this neighborhood’s attractions and tree-lined streets is West Koenig Flats, a luxury community in Austin, TX offering vibrant one, two and three bedroom apartments. From the marble countertops to the subway tile backsplash, each home offers a sophisticated living experience. You will also enjoy a simple commute to school or work thanks to the community’s convenient location near the Capital Metro bus route, Interstate 35 and Highways 183 and 290. 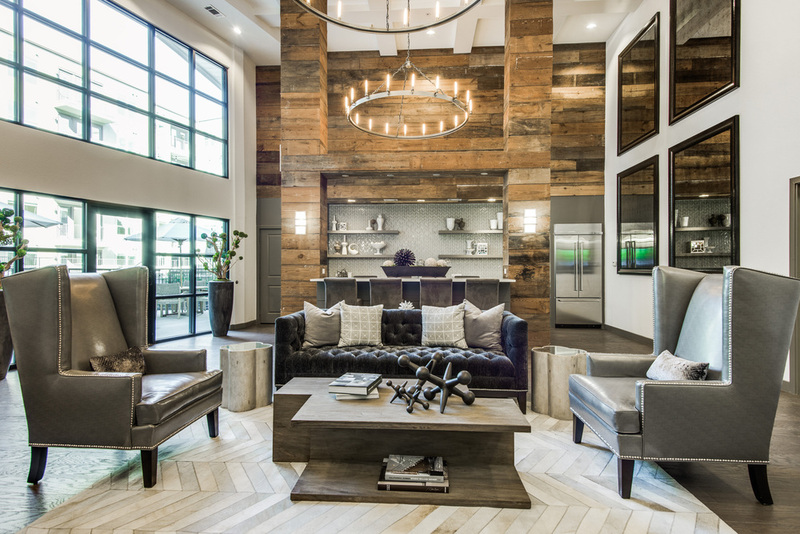 Retire to your urban home to experience a suite of impressive features. The refined kitchens have custom cabinets with subway tile backsplashes, islands, stainless steel appliances and under-mount sinks. Main living spaces include wood-like, vinyl plank flooring, while each bedroom includes plush carpeting. Select homes include balconies or private fenced yards where you can spend time outside with your four-legged friend. Just outside your front door, you have your choice of exciting amenities. You can spend your time sitting with friends and enjoying a cup of java at the coffee bar, relaxing beside the infinity-edge pool, staying in shape in our 24-hour fitness center, or socializing on the outdoor entertainment patio. Lease one of these apartments at West Koenig Flats today and live in one of the most desirable neighborhoods in Austin. © Copyright 2019 West Koenig Flats. All Rights Reserved.